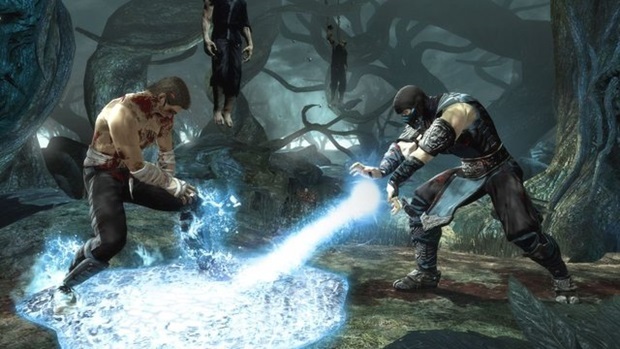 A long time in the making, Mortal Kombat’s transition to PC is an effortlessly smooth one. Fighting games on PC are like RTS games on consoles; they just don’t work. Though PC gamers can opt to plug in a controller or arcade stick, those without are left with keyboard controls that just aren’t responsive enough for the twitch reactions required in most 2D fighters. As a result, many fighting games are ported to the PC in a slap-dash manner that ruins the game for the desktop die-hards. 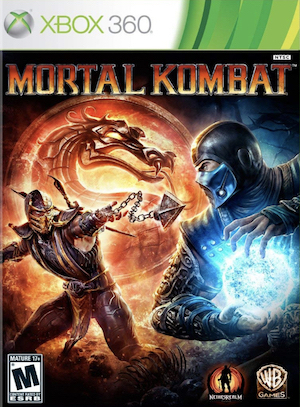 What a surprise then that the PC version of Mortal Kombat Komplete Edition runs so incredibly well. Ported over by High Voltage (who you may know as the guys behind Wii exclusive FPS The Conduit), MK Komplete is one of the better optimised PC ports I’ve come across in a long time. I’ll cover the port job in the earlier paragraphs of this review, but those who want a more general reminder of how Mortal Kombat plays should skip ahead to page two. The first thing players will notice is the settings screen, as MK Komplete dials into your optimum settings, altering each option one by one. It takes a little while, but it demonstrates a care in visual optimisation that few games adopt. Many graphical options have been added over the Xbox 360 and PS3 versions of the game, with FXAA processing, many levels of anti-aliasing and the usual anisotropic filtering options rounding out the package. "I don't exactly have the most intense of gaming rigs, but even I was able to push the game to its maximum graphical settings, and the results are spectacular. " I don’t exactly have the most intense of gaming rigs, but even I was able to push the game to its maximum graphical settings, and the results are spectacular. 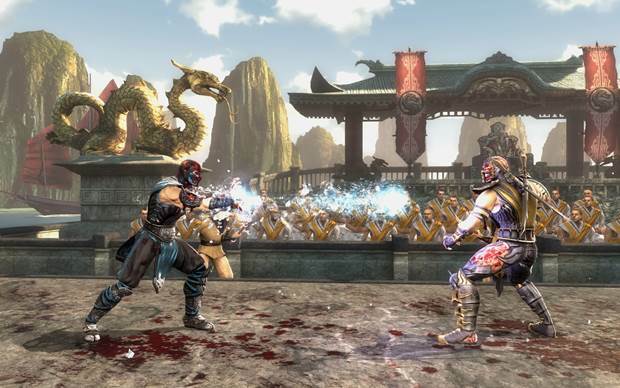 The visuals are detailed and rich, with a frame rate that eclipses the console versions of MK. The optimisation too is immaculate, with nary a frame skip or graphical bug in sight. That I could run it on max settings also bodes well for users with less expensive hardware. The settings go quite low, and I’m sure this will allow a variety of players to get involved in the Kombat. The stock keyboard controls somewhat spoil the fun as, keyboard setups are never going to be especially intuitive for a fast-paced fighting game. That said, the ability to rebind all keys (including system functions like the pause button) adds to an impressive versatility that is already made by simple controller integration. It was all very faff-free to get my controllers set up, which sadly can’t be said for all modern PC ports. There are a few glaring faults to be noted though, primarily in the story mode film sequences. Something about them is very grainy, almost as if they’ve been remastered in a lower resolution. It’s not as bad as the cut-scenes in the HD remakes of older games you see, but there’s a noticeable degradation in graphics quality when the in-game renders come to an end. "Combat is fairly accessible, regardless of your choice of character, but many special moves, combo breakers, enhanced specials and the awesome X-ray attacks add up to give the game a great depth." I couldn’t tell if the cut-scenes were also responsible, but there were some annoying audio issues where the voice acting would cut out every now and then. Not exactly game breaking issues, but frustrating if you’re playing story mode without subtitles enabled. 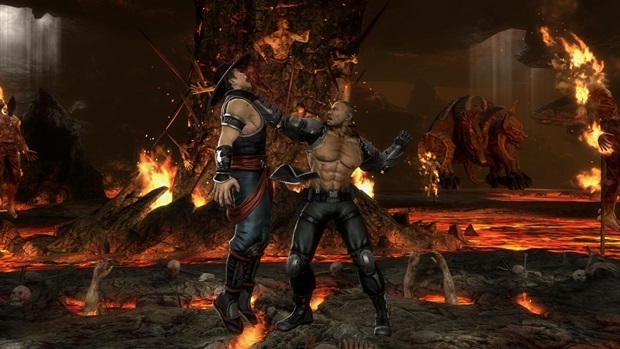 For a properly in depth critique of Mortal Kombat, you’d do well to read our original MK review published back in 2011. For those just looking for a quick reminder of whether the game is worth it, the answer is fairly simple. 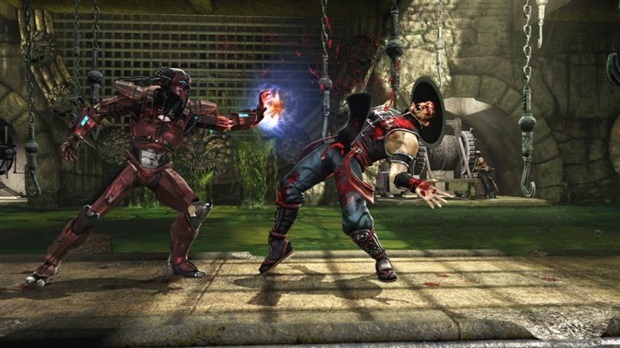 After years of mediocre Mortal Kombat sequels, the 2011 release marked a return to the fast-paced action and brutal combos that defined the original MK trilogy we know and love. Combat is fairly accessible, regardless of your choice of character, but many special moves, combo breakers, enhanced specials and the awesome X-ray attacks add up to give the game a great depth. Add in tag team fights full of two man combos and special attack entrances and you have a fighting formula that newcomers and series fanatics alike will find appealing. Some combos are a little difficult to formulate, especially when using analogue sticks on a controller, but mastering such timings is just another part of the genre. All of the characters are fun to play, and their signature moves offer enough variety to usher in some tactical battles if you pick the right players. I’d argue that the characters themselves aren’t especially interesting, especially compared to some of the crazier designs seen in the likes of recent Tekken and Street Fighter titles. 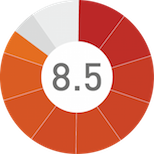 "A series of decent achievements lace the game's lifespan well, but the online portion of the title many will look to for sustained gameplay isn't ideal. " I’m sure die hard Mortal Kombat fans will hate me for saying that, but the many characters that are just paletter swapped duplicates don’t exactly counter my argument. On the plus side, some of the great DLC characters added on later to the console game come with the Komplete Edition, meaning you get the likes of Freddy Krueger and Kenshi to add to the roster. You also get all the alternate costumes which is great for the aesthetes out there. You actually get a huge amount of content with MK Komplete, especially when you consider that it is currently retailing on Steam below the usual game RRP at $30. Alongside an already impressive roster of characters you get a challenge mode, standard arcade mode and a well fleshed out story that sees you taking control of a variety of combatants. You certainly get decent bang for your buck. A series of decent achievements lace the game’s lifespan well, but the online portion of the title many will look to for sustained gameplay isn’t ideal. The net code is fairly solid, offering a reasonably lag-free experience. The lobbies aren’t especially well populated, even at the best of times. Still, fighting games are for local multiplayer, and your going to get a real kick out of gathering friends round for a Mortal Kombat session on PC. Even without this, the single player content is plentiful enough to more than compensate the price of admission. It may have been a long time coming, but the ninth Mortal Kombat title makes its PC debut with serious style. If you like 2D fighters, you’re going to love this. This game was reviewed on PC. A fantastic PC port of 2011's goriest fighting game, grainy cut scenes and a few audio glitches aren't enough to slow down the graphical touch ups on this powerhouse PC fighter.